Certifications are a must when it comes to professional development in nursing. When I first graduated nursing school, I felt that I had learned the “bare bones” of the nursing profession. To me, that involved knowing just enough to do the job but I knew that I lacked the in-depth knowledge or understanding of many complex disease processes. I felt that I knew a little bit about a lot of things, but had no true nursing knowledge on which to base my practice. When I actually started working on the floor as a new graduate nurse in the hospital setting, I realized that being a good bedside nurse required critical thinking skills that I was lacking. Instead of being bitter about my lack education, I immediately started to work at perfecting my craft and took charge of my post-degree education. After working for a year on a progressive care floor, I applied for my Certification for Progressive Care Nurses (PCCN) exam through the American Association of Critical Care Nurses (AACN). I felt that I had been on the floor long enough for my knowledge to be tested. Being the naïve nurse I was, I figured the exam would be easy to pass, because I was already doing the job. I knew what was needed on PCU and I did it daily. Boy was I wrong! I took the PCCN pre-test and failed miserably. It was at that moment, I realized there was an enormous amount of information I did not know. Could I perform the job of a progressive care nurse? Yes, but my critical thinking was still a weak point in my professional development. I knew what nursing interventions were necessary but I could not explain why they were effective or what potential complications might occur after the interventions were implemented. After studying for months, I passed the PCCN exam and haven’t looked back since. I now have my Trauma Nurse Core Course (TNCC), Critical Care Registered Nurse (CCRN) and Certification in Cardiac Medicine (CMC) certifications. I’m currently working towards obtaining the Certified Clinical Transplant Nurse (CCTN) certification at this time. The lesson of this story is… just because you work effectively as a bedside nurse, this doesn’t mean that you know every disease process, every medication’s adverse effect or every nursing intervention needed for the patients you currently work with. Post-degree education can advance your professional skill sets, your critical thinking and your ability to provide high quality patient care. Earning specialized nursing certifications is about more than passing a mere exam. It’s about opening your eyes to new diseases and concepts you never thought existed. When I study for exams, I always find myself writing notes. I use these notes even after I get my certification, and they have helped me to catch certain acute diseases process faster. This, in turn, has led to me be able to help my patients survive life threatening situations that I otherwise may not have identified. Certification exams can drastically boost your critical thinking and successfully broaden your nursing knowledge base. 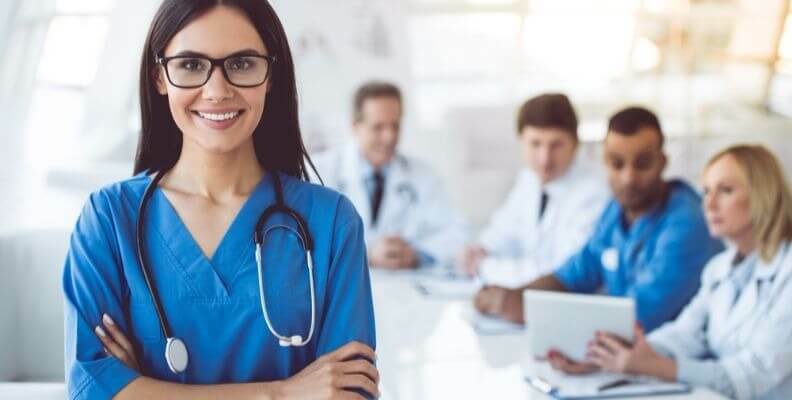 If you, like many nurses, are determined to provide the best care to your patients by improving your own nursing skills, you may find certifications are a great way to do it. I love post-degree education so much that I continue on this journey, even though my employer doesn’t pay for most of my exams. I’ve taken that concept and I continue to run with it. I want to be proactive in my nursing education and certifications give me that opportunity. To learn more about nursing certifications, you can explore the AACN website, which administers multiple exams to boost your nursing acumen. You can also further your nursing education by earning a higher degree. Nacole Riccaboni is a board certified registered nurse currently in school to become a Family Nurse Practitioner. On her self-entitled blog, Nurse Nacole posts daily nursing tips, along with advice on nursing academics, licensing exams, professionalism and nursing school success. BestNursingDegree.com is honored to share her thoughts on what she has learned from her patients over the years, and we welcome you to share your own comments as well.